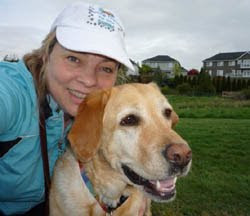 Up coming event in Camas, WA. It's time to celebrate a fabulous health clinic for their 10 year anniversary. Priority Life Chiropractic and Massage﻿ http://prioritylifechiro.com/ is the place to go for your well being. 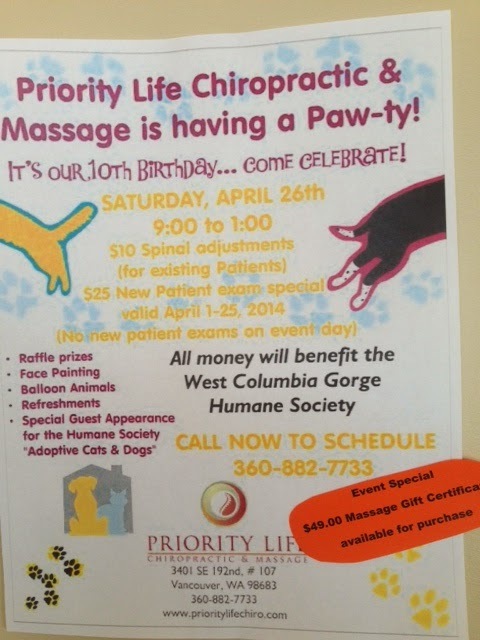 Let's thank them for keeping us moving in a positive way and support the West Columbia Gorge Humane Society﻿. http://wcghs.org/ Mark your calendars for April 26th. See you there.